Club History – W4NVU – Dade Radio Club of Miami Inc. In the early 1920s, a small group of radio amateurs met in a small house in the Omni area of Miami. The meeting was a social gathering of likeminded friends doing show and tells of their projects. This group of radio amateurs would call themselves the Miami Radio Club. The new club would meet on every third Tuesday of the month. During World War II, the United States Congress suspended all amateur radio activities and the club ceased all operations. The US government created the War Emergency Radio Service which remained active until 1945. 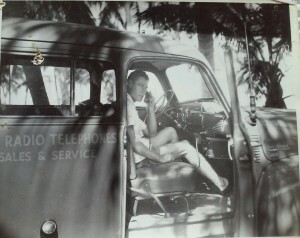 After the war, the amateur radio service began operating again. With the war over, the group started to meet again, this time under its new name, The Dade Radio Club of Miami. 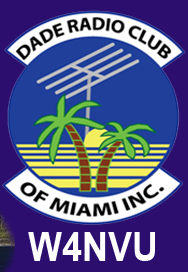 The Dade Radio Club (DRC) became an ARRL affiliated club on August 21st 1946. 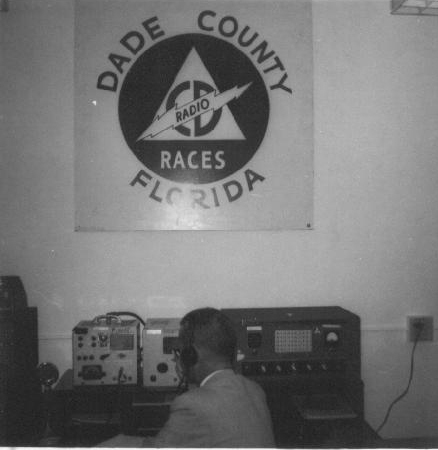 In the late 1950s the Dade Radio Club started their own ham radio flea market. The market would grow in attendance and popularity over the next years. 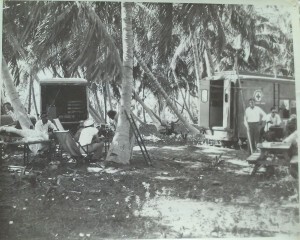 This market would later become Miamis own hamfest, dubbed the “Tropical Hamboree” by the early 60s. Under the leadership of Evelyn Gauzens (W4WYR) the Tropical Hamboree became the second largest Hamfest in the United States until Evelyn’s retirement. The DRC have assisted in numerous events in south Florida such as the MS-150 Bike Ride, Miami Marathon, March of Dimes, Tour de Cure, Jr Orange Bowl and countless more. The club has also served in countless times of need. A major event in Dade County was Hurricane Andrew. Hams from all over carried emergency traffic for many weeks after Andrew. Hams also assisted with communications support in the plane crash of ValueJet Flight 592 in the middle of the Florida Everglades. Many South Florida Hams participated in a full activation in Dade County on September 11th. As they were trained, they checked in and announced their availability to help. Dade was that their services were not needed locally, But that didn’t stop some of the most dedicated hams from responding to NYC in person to assist. 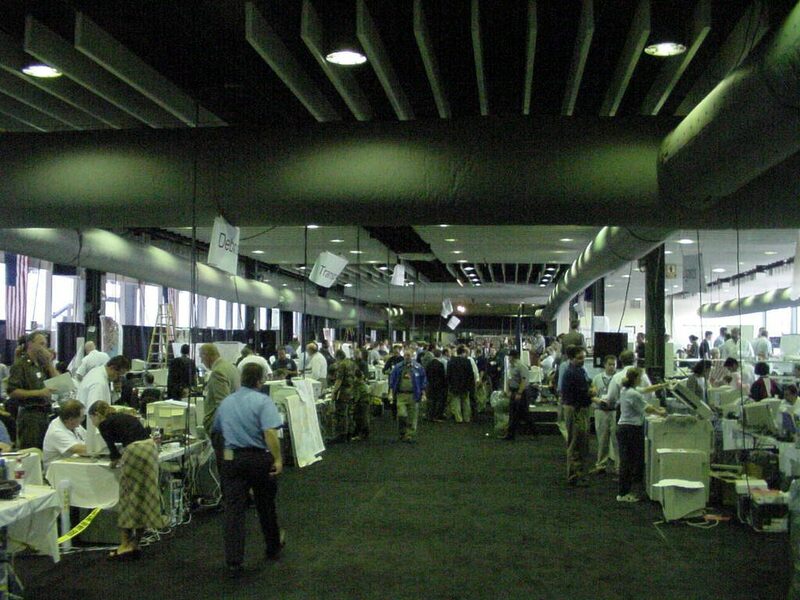 In May of 2007, the South Florida FM Association merged with the Dade Radio Club of Miami.